First Kiss Friday with Emmy Z. Madrigal & a Giveaway! Today on First Kiss Friday I have as a guest Emmy Z. Madrigal and her characters from Lord Harrington’s Lost Doe. Emmy is offering an eCopy of her novel to one random comment so please be sure to show her some love. Happy reading! He and his staff doted on her day and night. Three days passed and with each day, she became thinner, weaker, and paler. There were moments of clarity every so often, when she’d be strong enough to chat, but she still did not know who she was or where she’d come from. The fog the laudanum withdrawals kept her under wouldn’t let go completely. At night he would try to sleep in the adjoining room while Mary watched her, but he’d hear his doe tossing and turning and inevitably rise. He’d send Mary to bed and spend the night sleeping in the chair next to her bedside, as his suffering beauty clung to life with a will he admired. Alexander ambled up, shuffling to the bed in the adjoining room in a half-wake state. He fell onto the covers with his clothes on and Benjamin removed his boots. “How many days has she been here, Benji?” Alexander asked in a whisper. Alexander let exhaustion take over. The last thing he remembered was saying a prayer that his little doe would survive the night. A few hours before dawn, Alexander woke to the sound of someone in his room. His eyes fluttered open, but he knew he was still dreaming. An angel stood before him, dressed all in white, a halo of golden curls atop her head. “I’m so cold. I can’t get warm,” she whispered. She hesitantly padded across the room on bare feet and laid down next to him. He wrapped his arm around her from behind and pulled her ice cold body into his warmth. She cuddled into him, shivering as their difference in body temperatures clashed. Alexander closed his eyes and smiled, loving the feel of a soft feminine body next to his. What a wonderfully pleasant dream to calm him when he needed comfort the most. When Alexander woke, a certain part of his anatomy had become aware of a warm female body next to his. He sat up, realizing his little doe had crawled into bed with him. Good Lord, you’ve done it now! He held his head and scolded himself. At least he still wore his clothes, but that wouldn’t matter to anyone who found them in bed together. Her purity was tainted and he had to get her back in her own bed before anyone noticed. He rose and crept over to the doorway. Kate slept in a cot beside his doe’s bed, fast asleep. How could he get past Kate without waking her? He looked back at his bed and the beauty upon it. She had color to her cheeks, her expression serene. Perhaps his warmth had done her some good. He pulled the blankets around her shoulders and smoothed his hand over her curls. For once, she wasn’t sweating. The fever seemed to have abated. Thank God for that. Perhaps she would see the other side of her illness soon. He could get her home, where she belonged, but he had grown so attached to her, he wasn’t sure he wanted her to leave. Her eyes opened and he drew back, wondering which doe he might find. The pained patient or the well-spoken young lady he’d come to favor? “Wh-where am I?” she asked and glanced around. “Er…” Not exactly the question one wants to hear when a lady wakes in one’s bed. She cried earnestly and he couldn’t bear seeing her blame herself. He retrieved his handkerchief from his coat hanging on a nearby chair. Handing it to her, he sat on a stool by the bed, leaning forward in hopes to console her. He couldn’t watch her cry on his account. “It’s only that I woke from the most horrid dream last night, but then I realized, it wasn’t a dream but a memory. My father is dead. The person I loved most in the world is gone. I feel like my heart will break in two. It’s more painful than this illness. My whole world is crumbling around me.” She sucked in a large breath and panted, unable to catch her breath. “I am sorry, truly.” He put his fist to his mouth to hide the anger welling up inside him. He held her hand and ran his thumb over her fingertips. He’d never known the pain she felt, but he could see the anguish in her eyes. “That is not all. I think…no, I know…that I cut my own hair.” She bit her lip, tugging at the short locks at her temple. Tears streamed down her cheeks and she ignored them, so preoccupied with self-hate. “I don’t understand it. I feel like I’ve been confused for so long. Doing things I would never do…and then father’s death…and I wasn’t allowed to go to the funeral. Then I remember the scissors I took from the sewing box…” She stared straight ahead as if seeing the vision of herself playing out in front of her. “But why?” he asked softly, not as an accusation, but trying to understand. He gripped her hand tighter. Perhaps she was mad. Maybe not from Worthington Hall, but mad just the same. But no, he couldn’t believe it. His mind raced, having an argument with himself. Why not believe it? It would solve the mystery about her. In love with an insane lost girl? My lost doe. Oh Lord, we’re made for one another because I am mad, too. Longing to feel her soft body near him, he wished he was still in bed, so he could curl up behind her and nuzzle her ear. “Say something, please.” She looked to him, her sad eyes defeated. He had no response and before he knew what he was about, he leaned forward and placed his lips on hers. His kiss deepened and he found her lips open to his. She wanted him close, too. Could it be that she loved him as well? But she is lost and crazy. His brain screamed, “Stop!” But he couldn’t. He reached up to her neck, massaging the short curls there. How soft and inviting they were. She whimpered and he grinned, knowing she wished him to continue. Alexander’s reason stepped in to put an end to the heaven he felt. I am taking advantage of a poor, helpless, mad woman who looks to me for protection. My God, man, get a hold of yourself! Alexander broke away and stood. His breathing heavy, he couldn’t even see straight as he crossed the room and gripped the window pane. “Lord Harrington…Alexander…” Her meek voice spoke in a quiver. “I am sorry. I am…incorrigible. I should not have…” He looked at her but couldn’t bear the embarrassment written so plainly on her cheeks. “Pardon me. I must go.” Grabbing his coat, he walked into his doe’s room. Kate woke and looked up at him, startled. “See to her. She was cold and slept in the other bed last night, closer to the fire.” In my bed. Alexander left the house, barking orders at Benjamin about taking care of his doe. He went to the stable and saddled his horse faster than one of the stable boys could wake and get dressed to do so. Galloping away from Denwood, Alexander focused his frustration on riding. 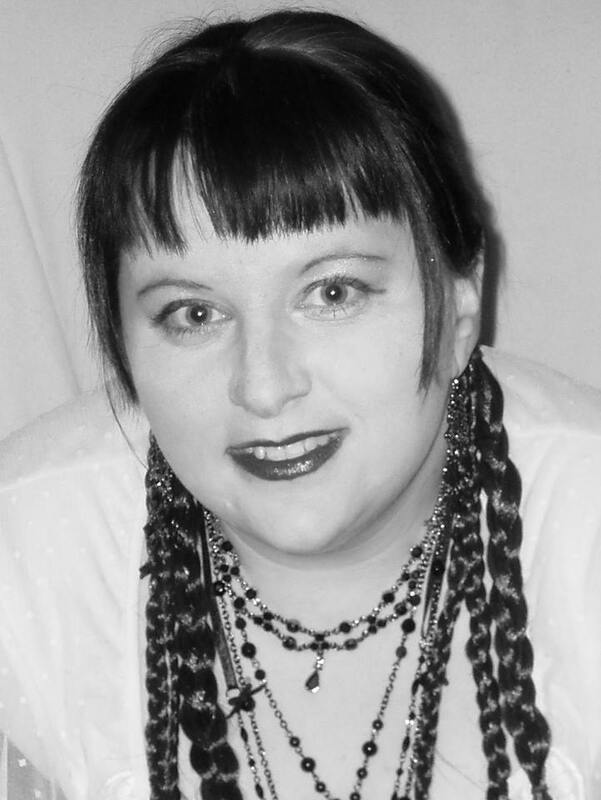 Emmy Z. Madrigal is the author of the Regency Novella, Lord Harrington’s Lost Doe. Her previous works include the New Adult series Sweet Dreams Musical Romance and the Chick Lit series Anime Girl. Intriguing set up. Darn it. Now I have to find out what happens. An attention getting excerpt. 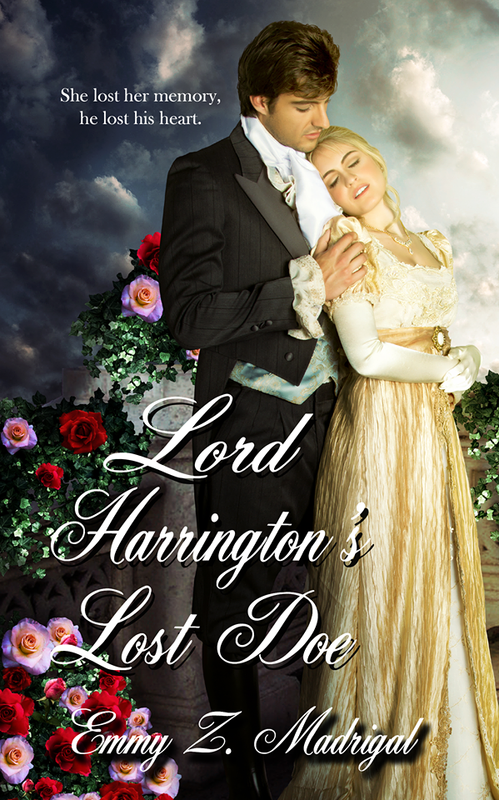 I have added “Lord Harrington’s Lost Doe” to my must be read list. Great excerpt! This one really grabs me! The book sounds like a perfect read. Beautiful cover! Love the title, very original! Thanks to everyone who have left a comment for Emmy. The random name generated to win a eCopy of her book is Janet B. Janet – congratulations. Be on the look out for an email from Emmy with your gift.